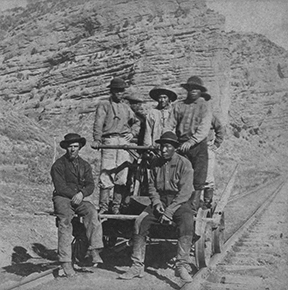 Chinese immigrants first came to New Mexico in in large numbers in the 1800s looking for jobs, particularly building railroads and mining. Because of harsh laws, including the Chinese Exclusion Act of 1882, and other discrimination, the Chinese in the “first wave” of immigrants were unable to create lasting communities in New Mexico. In the early 1900s, a small but permanent Chinese-American community took root in New Mexico, including refugees from the Communist takeover of mainland China, along with immigrants from Taiwan. New Mexico’s Chinese Americans are proud to be U.S. citizens, but also remember their ancient heritage. 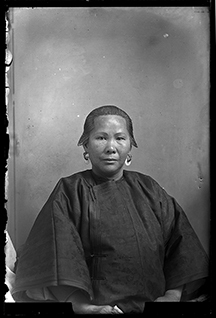 The exhibition recounts the story of Chinese immigrants and Chinese American communities in New Mexico through photographs, documents and family heirlooms.